The 2015 Oregon baseball regular season is just 12 days away from opening day at PK Park against New Mexico State on February 19th. And the Ducks have garnered a lot of attention in the preseason. According to the recently released Pac-12 Coaches Poll, Oregon is picked to finish conference play in second place, just behind UCLA. 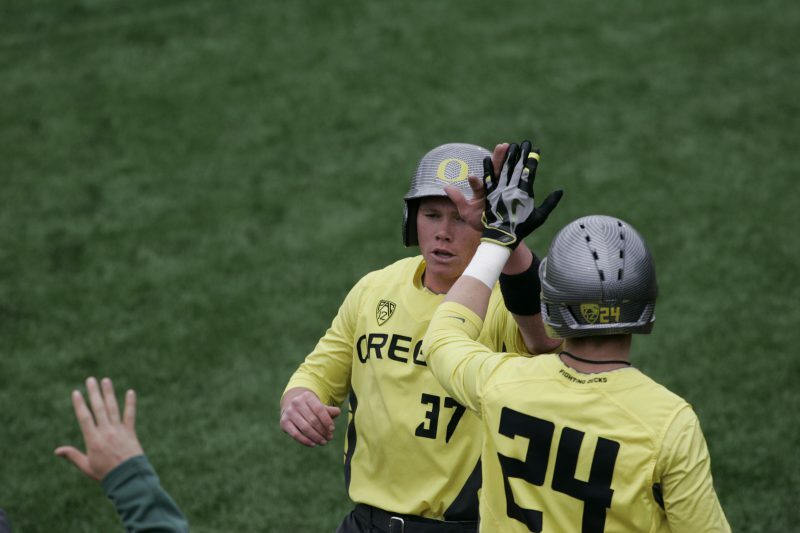 Oregon baseball will see the return of offensive heavyweights, first team All-Pac-12 players, Shaun Chase and Mitchell Tolman. Chase is a preseason All-American while Tolman led the Pac-12 in doubles last season. The Ducks’ bullpen is strengthened by another preseason All-American, redshirt pitcher Cole Irvin, who hopes to return this season from Tommy John surgery. The Ducks have received national recognition as well, ranking as high as 15th in a preseason poll by Collegiate Baseball. 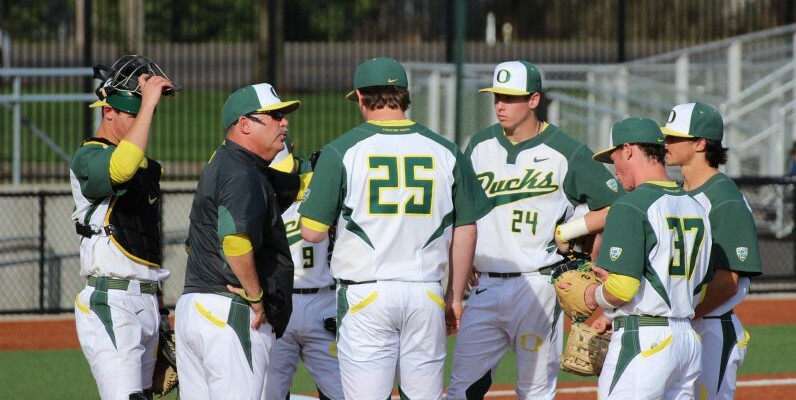 Under head coach George Horton, the Ducks have steadily carved their way into the national picture and seek their first College World Series appearance since 1954.